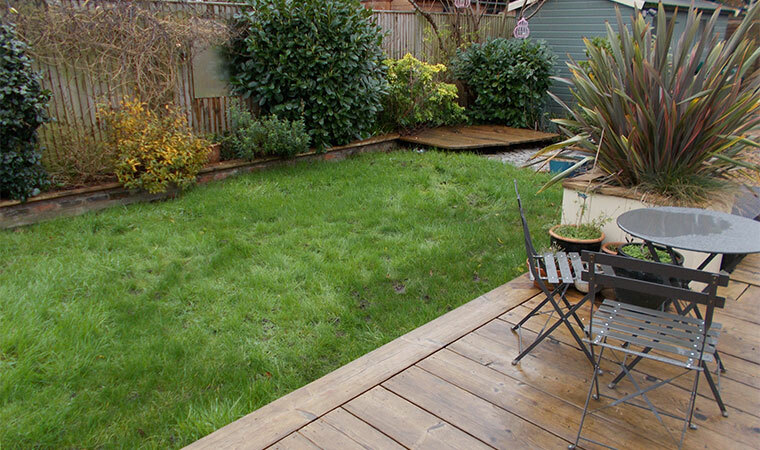 The owners of this lovely house in Bromley, London were looking for a garden lawn that required less maintenance and that would drain better. The solution to their problem was artificial grass and a garden soakaway. The artificial grass would just need a little brush and a hose down a couple of times a year and the installation of a simple garden soakaway is a simple way to disperse surface water when it is unpractical to connect to a drainage system. Before digging out the soakaway we found a suitable location which was over 5 metres from the nearest building and that when dug out it would be lower than the area being drained. Once the area was decided upon we dug 4 inches out from the entire lawn. We then dug a 2sqm soakaway 6 inches deep. These dimensions would be suitable for this size lawn to drain effectively.The garden soakaway was finally filled with rubble. We were then able to install our high end groundworks before finally fitting the artificial grass. 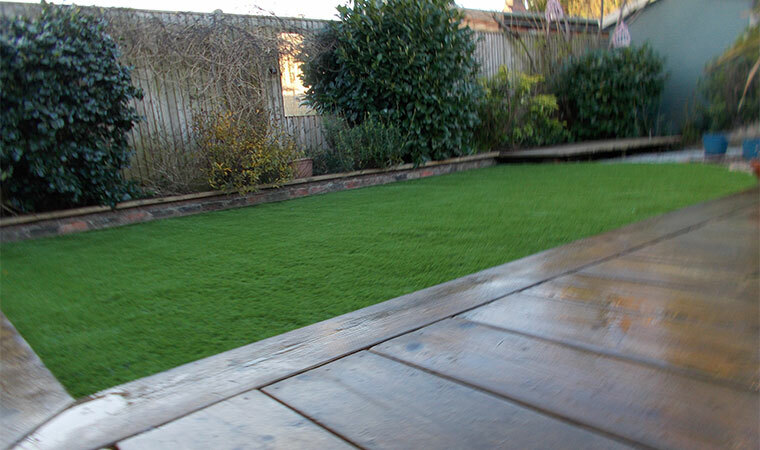 The Boundary artificial grass was chosen grass for its long very soft fibres which look superb!